Jordan Peele’s TWILIGHT ZONE Will Remake One Of The Series’ Most Iconic Episodes | Birth.Movies.Death. And Adam Scott's gonna star in it! As of this writing, few things in this world have me as excited as I am for Jordan Peele's new take on The Twilight Zone. It's one of my all-time favorite franchises, a monolithic part of my pop culture diet, a show I will watch endlessly and without ever growing bored. Sure, people have attempted to retool Rod Serling's classic series before, but all those botched attempts only serve to underline how truly great the original series was...and how easy Serling made it all look. I can't wait to see what Peele does with it. Speaking of which: one of my biggest questions about the new Zone has been whether or not Peele and company would attempt to remake any of the series' classic episodes. Might we see a new "The Monsters Are Due on Maple Street"? What's "Time Enough at Last" look like through a 2018 prism? Is Jacob Tremblay already memorizing his lines for an "It's a Good Life" redux? 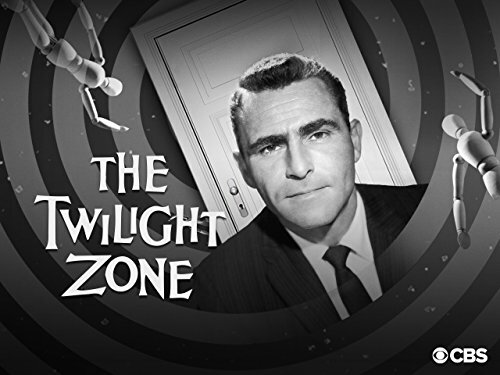 Or will the new Twilight Zone stick to telling all-new tales? "Adam Scott has joined the ensemble cast of the CBS All Access revival of The Twilight Zone. 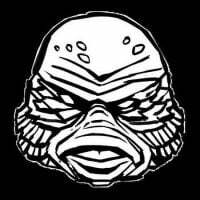 Scott will appear in the "Nightmare At 30,000 Feet" episode, best remembered in the original series for William Shatner’s frantic encounter with an airborne gremlin that only he could see." That settles that! Adam Scott will headline The Twilight Zone's latest take on "Nightmare at 20,000 Feet", the original version of which famously starred William Shatner and which was later remade by George Miller for 1983's Twilight Zone: The Movie (that version starred John Lithgow; also, on a related note, Twilight Zone: The Movie is underappreciated). Adam Scott's an excellent choice for this role! Wonder who's going to direct that one. Anyway, it's exciting to learn that the new Twilight Zone will feature at least one remake, as it opens the door to the possibility of other remakes. Which classic episodes would you like to see retooled with modern-day technology? Who do you want to see directing these eps? Can we all just agree to talk about nothing except The Twilight Zone until the new Twilight Zone arrives? Sound off in the comments below, and stay tuned for further updates as they roll in. In which Ana Lily Amirpour delivers Scott's favorite new ZONE episode.